We love the idea of modernising vintage finds. 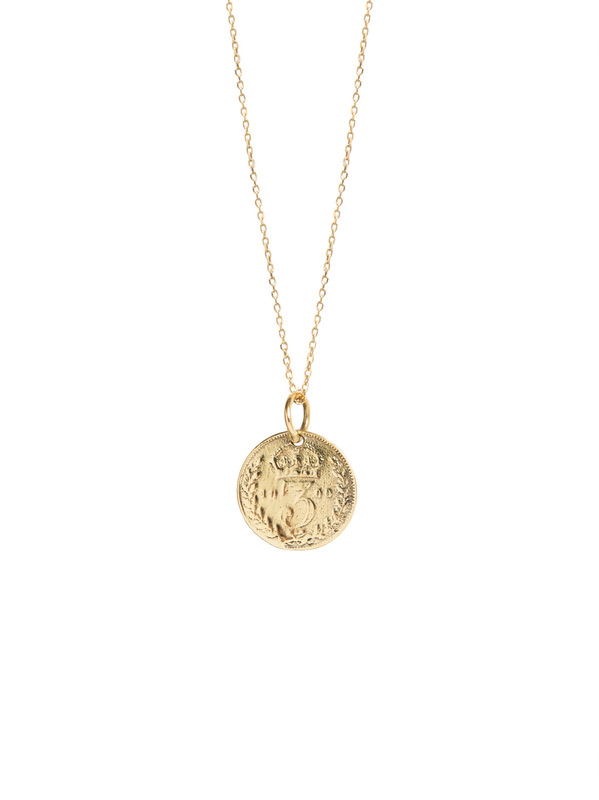 This gold plated threepenny piece looks great layered with heavier longer chains. It hangs on a sterling silver chain which has been plated in 23.5 karat gold and has three different length options, ranging from 40cm to 50cm.